Pickle has become an It snack flavor the past few years, and the trend is showing no signs of slowing down. 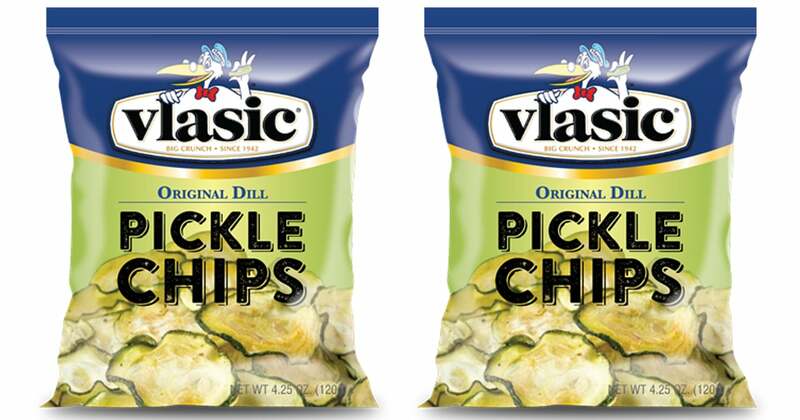 Vlasic is introducing pickle chips — like, actual crunchy chips made solely of pickles — so you can really take your love of the briny cucumber to the next level. Food Business News announced the launch and revealed that Conagra Brands, the parent company of Vlasic and other brands, is coming out with the pickle chips in addition to snacks like Slim Jim Fried Pork Rinds. The Original Dill Pickle Chips are "vacuum-fried" pickles packaged in snack-size bags, so they make for a convenient, low-calorie snack. A spokesperson for Conagra said the item is "still in development" and there is no release date, but the photo is enough to get excited about. Unlike Lay's pickle-flavored chips that were re-released this year, these pickle chips aren't made with potato.